Brazil -- where we are back to bottled water and no ice, but lots and lots of water falls. I've seen Niagara and Victoria Falls but nothing prepared me for Iguazo. Brazil -- where we are back to bottled water and no ice, but lots and lots of water falls. I've seen Niagara and Victoria Falls but nothing prepared me for Iguazo. Between 8,800 and 9,500 feet wide, depending on rainfall, it stretches between Brazil and Argentina. Below is a really short video (a little over ten seconds) but I suppose it could still screw up your computers. I hope not. This is just a section of the falls. If you don't want to open the first one, go to the second and third photos and just take a look at the stills. 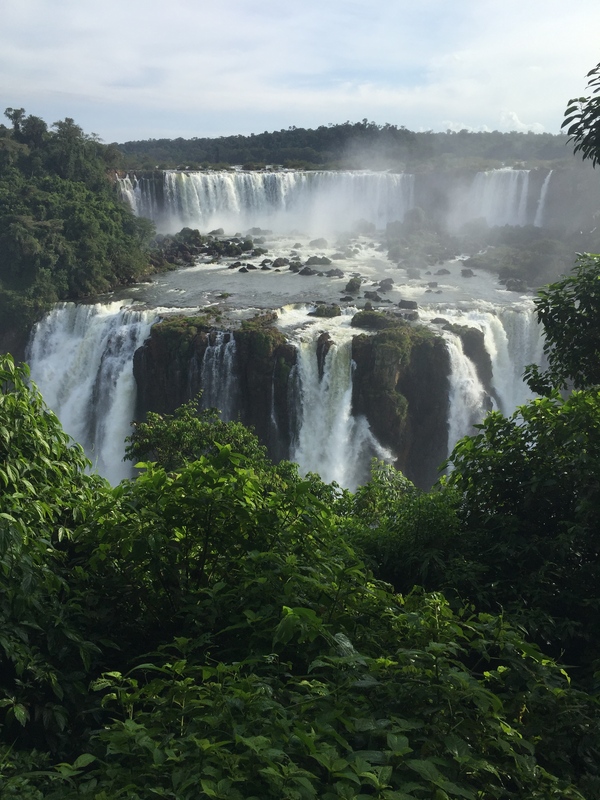 These are just a short walk from the magnificent Hotel das Cataratas inside the national park, run superbly by the same company who manage the Copacabana Palace in Rio. I am not coming close to doing these falls justice. Go there if you can.